Our students, faculty, and alumni have heard it before: Journalism is dead. Not so, argues UW Communication Journalism lecturer, Caley Cook. In a recent podcast for YesCollege.com, Cook gave a rousing defense of the industry, both as a profession and as an academic field of study. She insists that those who hold a journalism degree have access to a limitless range of opportunities, thanks to the diverse skillset students acquire. In the UW Journalism program, Cook explains, students are primarily taught two things: how to be a storyteller, and how to be critical and analytical. “We want you to be able to walk into a situation and try to understand it, even if you’ve never been there before, and then be able to tell others about what’s happening. That is a difficult, but very valuable, skill to have in any profession,” Cook said. 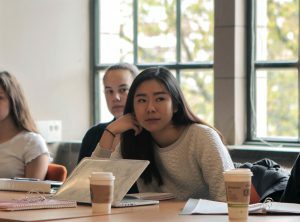 The Journalism program at the UW offers students the unique chance to explore news in as dynamic an environment as possible; there are no specialized tracks to which students have to limit themselves. For Communication student Mia Andre, studying journalism is all about learning new and versatile skills. Another aspect of the UW journalism program of which Cook is proud is its emphasis on immersion. 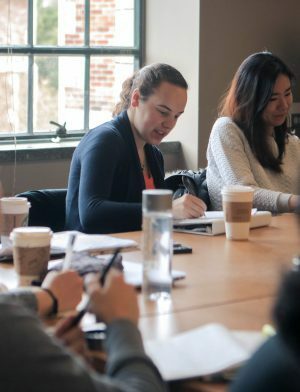 In addition to honing their technical skills as storytellers, UW journalism students have the opportunity to fully explore what makes these shared experiences compelling. 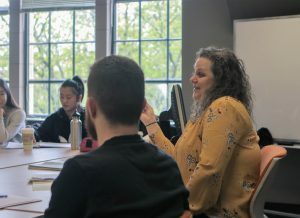 Finally, students in the UW program are determined to make their peers more aware of what constitutes good journalism; the hard work that goes into stories, but is so often dismissed by the public. 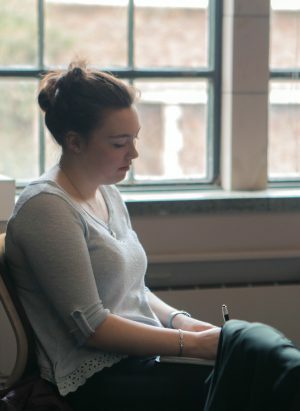 To learn more about the Journalism program, students and families are encouraged to attend “How We Communicate.” Led by Caley Cook, this interactive session will take place April 14, during the UW’s annual Parent and Family Weekend.